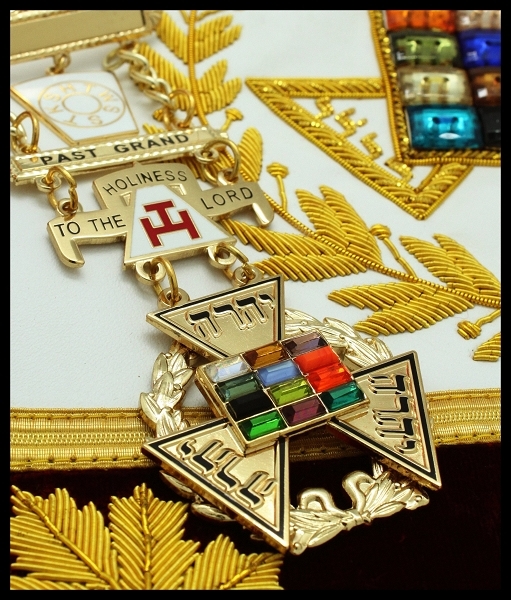 Own very own and exclusive designed GRAND jewel similar to our constituent jewel. 3 years in the making to establish a firm solidarity with the stones, crystals and gemstones of the breastplate! Each was carefully researched, proven and verified by lapidary web sites. We do not engrave, nor pretend to. Any "good" trophy shop will be able to do so. Make sure you tell them that this is made from genuine brass or copper base material that has been gold plated. Other jewels from other suppliers are of significantly less quality and most won't touch the jewel for fear it will harm their equipment. Be proud to wear this significantly well designed NEW jewel. We also offer this with the State already engraved. Call and ask for details. If we don't have it, with as few as 10 pieces, we can make them!